How was your holiday? The Duggars gathered at "the big house" on Christmas Day to celebrate with family and friends. Rather than have everyone buy a small gift for everyone else, the Duggars choose names and then each purchase a larger gift for one person. Below are a few snapshots from their day. That sounds bitter, tons of people share their lives on social media, there's no reason the Duggars can't. I am sorry for those that struggle but I am happy for them. A lot of people struggle with health or financially at some point...it's what you make of it. No one is making you follow or look at what they're doing. A person can choose thankfulness and contentment, no matter what they own, rather than jealousy and discontentment. When they do, it's easier to be happy for others who have or get nice things. There is nothing wrong with posting presents and vacations. I grew up in poverty & did not begrudge others. In fact, it made me want to work hard to be able to afford those things. Most people who are struggling financially just need to get a better education and/ or work harder. I don't agree with you at all. They work hard. They said they only do 1 present, so no big deal. They also do charitable work for others. Anonymous- Your posts reminded me of a conversation my teen daughter and I had today about the motivation behind people posting public pictures of themselves with their Christmas gifts or showing off their decorated trees. We understand wanting to share family pictures with other family members or very close friends, separated by distance (Grandparents, Aunts & Uncles. long distance but close cousins, Armed Service families, etc.). You could share pics with them via email or private Facebook/Twitter/Instagram. What we don't understand is the need to post these things for others (outside of that) to see. It seems conceited, self-important- that need to show others, outside of those immediately close to you. 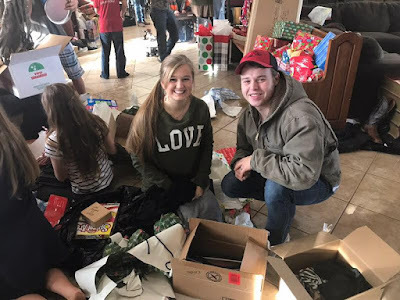 Like you, I'm also glad the Duggar family had a fun Christmas- I would that everyone on Earth did. I could do without the pictures though- it's just not very humble to show off your gifts, much less how many you and your family got no matter what your last name is. Get over your need to decide for others what they should share. It is not self important or conceited to share pics of your family enjoying this wonderful holiday. It’s no secret the Duggars are comfortable financially. If you have access to social media to post on this blog you are also doing better than half the world. The pics of kids opening gifts large or small are sweet, and JB and Henry....cute, cute, cute! Do ya have Facebook? TWITTER? Instagram?? People post their lives all the time! Besides, this is a family blog! Get it?? You don't have to read it or look at it!! Smh..
3:28- I think most people use the privacy settings on social media. It's foolish not to. 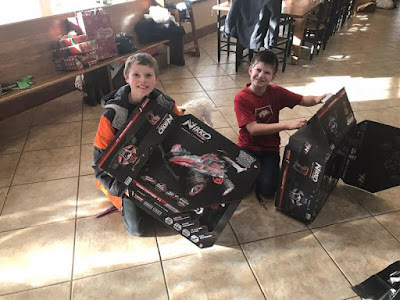 I love seeing the kids enjoying there Christmas gifts. Tjey are not over spending families at all. So if they recieved something extra special, that makes me happy to see them happy. The real reason behind the season is God. If they want to share let them. It's still a free country. Don't look at their blog if you don't want to see this. I think it's wonderful. Look at how much the younger girls have grown. No jealous at all- definitely don't want their lifestyle or their money- Thank you! No, I don't have Facebook, Twitter, or Instagram. I'm too busy living my life, not posting it (homeschooling-not setting my children in front of a computer program that does it all for me, driving my disabled elderly neighbors to appointments, helping aging parents and In-laws with their household responsibilities in between hospitalizations, and tending my own household. Jealous? Not. Bitter? Not. I love my life, am grateful to God for the people in it, and every single thing I have. I've been on mission trips too-I'm well aware of the lack here in my own country and do what I can to alleviate it. As for my Internet, the only reason we can afford it is because my husband's employer pays for it as he regularly needs to work from home in the middle of the night, when the office is closed. Please be careful about making assumptions about other people. It's incredible to me how judgemental the "Christians" are on this site of other people when they dislike a post. I'm not seeing Jesus in the way you respond. Lol well you're obviously using some social media since you're here! Good deeds need to be done AND discussed these days! It's heartwarming and reaffirming to hear what others are doing for the people in their lives, and the people they decide to make parts of their lives. Good for you, 9:11. Speak out! 9:11, if not jealous then rude. This is a blog about the Duggar family, why would you expect them to not post pictures of their trips, or pictures taken on Christmas? Looks like they had a fun Christmas. I see one of the little girls got a 'baby alive'. I remember getting a baby alive for Christmas about 40 years ago.....it was the only thing I wanted. I'm not a big Jim Bob fan but the picture with Henry is so good! Not being snarky here, but I'm a little surprised at any of the girls getting a "Baby Alive" when they get lots of practice taking care of babies in their own household. Even the little girls get practice on Jessa's, Jill's, and Anna's. So much for the "Duggars don't do gifts" responses on the Bahamas post. That's a lot more gifts than just drawing someone's name! My family draws names also, and sometimes a person or two will go the extra mile with gifts, but no one gets offended if others don't. Giant black trash bags full of gifts?? It doesn’t cost that much to buy toys. It gets expensive once the kids are older. I thought the same thing about the trash bags initially-it doesn't seem like a nice or lovely way to wrap a gift. But actually, it's really practical and brilliant in their case. They're not wasting tons of wrapping paper, tissue paper, tape, and bows. They likely already have the trash bags, so no money wasted buying wrapping supplies. They can always use the trash bags after. It makes clean-up of any trash a breeze. LOL It's also hard to sneak a peak through a dark, thick trash bag! ;) If the name tags are on the inside, even better-as no one knows who's is who's until the bag gets opened. 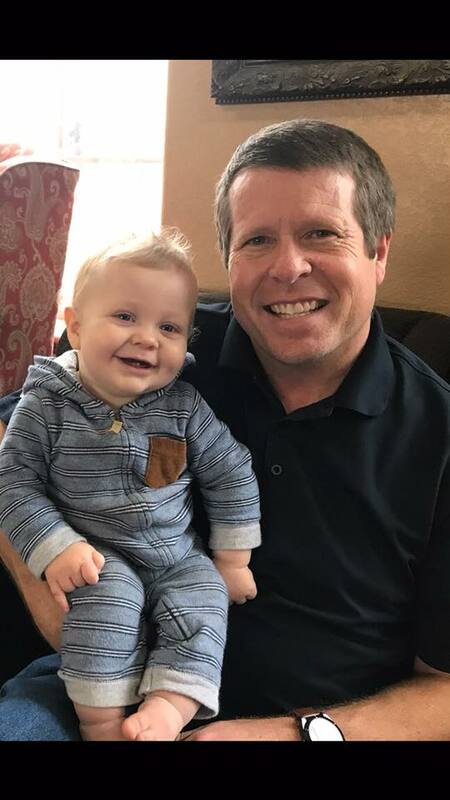 I would love to see an update on baby mason duggar! Yes, I want to see pictures! I'm curious who else in the family he resembles. Merry Christmas, to all the Duggars! I'm curious if JB and Michelle still buy individual gifts for each child and grandchild or does the name choosing replace those gifts? Many of the gifts say "From Momma and Daddy," if you zoom in on the boxes. The unwrapped ones in brown boxes. I just love these pictures. This is what Duggar fans want - the entire family - especially Jim Bob and Michelle and the little kids. This family event would have been a great episode but TLC must keep the haters happy and continue with their bigotry toward Christians by not allowing all of the family to appear on the show. I for one am still hoping Jim Bob and Michelle take the little kids and themselves to a better network. Until you have proof positive that TLC is practicing "bigotry," please refrain from accusing a TV network and its hardworking people of such falsehoods. This is what SOME of the Duggar fans want. Has the thought ever crossed your mind that Jim Bob and Michelle want their children out of the lime light for a bit? If there were TLC bigotry towards Christians, the Duggar family would not have had what's been a very long running show on the network. No one is owed a TV show, let alone one that runs indefinitely. I would love to see the whole Duggar family and what each individual and families are up To. They're such interesting great people, why miss out?! There is no bigotry against Christians, In fact, TLC has given the family a platform to showcase their extremely conservative lifestyle, which many,including other Christians do not follow. Plus, bigotry is denying the humanity in a fellow human being, which includes accepting them as they are. "Bigotry" is the word you use when you are upset about something (something that's correct) and you can't find a way to blame someone else, except to accuse them of that. I'm sorry your mom had to work but it sounds like you made the best of it! Neddy I'm sorry that your Mom had to work on Christmas Eve, but I'm so happy that you and your Mom got to go shopping together. I always enjoyed shopping and going places with my Mom, so I know that was a special time for you both. Your book bag sounds like it is awesome looking and the 20 dollars is a nice gift too. That sounds like an awesome book bag! I get great vibes from that photo of JimBob and Henry, adorable! Why say expecting a child in 2018 beside Kendra and Joes picture, especially as the news has already been posted here twice I think we all know by now! Not everyone knows by now because there are new followers of the blog. Goodness! Not everyone here is a regular reader of this and may be hearing this for the first time. Chill already! I agree with Anon 5:25 and 6:00. I would like to add that with the busyness of the holidays not everyone will have time to read blogs. Which means they wouldn't know that Kendra is expecting. Anna was well into her pregnancy with Mason, multiple postings of the announcement and people were still asking if she was pregnant! Not everyone sees every post. It boggles my mind to think of the Christmas cleanup they have to go through after opening presents. Michelle probably has that all organized. It's not Michelle's jurisdiction to handle the trash. The boys do that. The more there are, the more to help clean up! Even better -the more the merrier!!! Yes..shes had 29 KIDS! Of course she's organized... smh..
Stuffing wrapping paper into the trash is the easy part! Merry Christmas and happy new year to all the Duggar family and anyone who might be related or not related at all! Have a merry Christmas happy new year and I’m excited to see you all on my TV screens soon ! Ps I’m a huge fan! Such fun! I like from other families on how they handle presents. I think we should do this next year Lord willing. Who is the young boy named Tyler? Is he a relative or family friend? Tyler is Michelle's great nephew that they are raising. Michelle’s great nephew who is currently living with the Duggars due to a bad family situation. A nephew that Jim Bob and Michelle have custody of. He's been posted about here and they also talked about him on the show recently. He is Michelle's great nephew. They have legal custody of him because his mom was having some personal problems. Tyler is an extended family member who lives with JB & Michelle, while keeping contact with immediate family. He and Jackson are close playmates. Some people are wearing jackets...some have bare feet...??? Some people get cold more easily than others. I thought the same thing. Why is Josie wearing her winter coat inside? Some people like the cold. Some don't. I would the one with bare feet while others have jacket or sweaters on. If the people with jackets get hot, they can take them off; if the bare feet get cold, they can put on socks. Were you trying to make some point? Do you think it's a character flaw for some people to be cold when others are hot? And I deeply wish some would just mind their business! To each his own! Maybe some just came in from outside while others have been inside and active or naturally are warmer. Girls are barefoot; boys have shoes. Seems to be the norm for the Duggars. I have always wondered why mother's, and not just Jessa,will dress their babies and toddlers warmly for cold weather but do not put socks or shoes on their feet. Can anyone explain that? It's minus 26 where I live and I'm barefoot in- doors. I seem to recall it being mentioned one time that their floor was heated. In the houses here that have floor heat, the floor is hot like a summer sun shining on it but the air in the room can still be a touch chilly. Having bare feet and jackets is not unreasonable given that. I dress my children warmly everyday, but they don't wear shoes around the house and if I put socks on them, they don't keep them on long enough for it to matter. Hope they let the pets inside for Christmas. It’s cold outside! It’s a myth fur is enough to keep them warm. When it’s this cold it’s not. They probably let them in, but keep in mind lots of animals live outdoors and are fine. No it's not a myth, had many pets when I was a child and not one of them lived in doors. I live in Northern Canada and they survived and thrived.They just grow a thicker coat of hair for winter. Of course these little special breeds wouldn't last outside. I cannot imagine telling my dog to just "grow a thicker coat" because I wasn't willing to let him inside in the winter! Were I live in Illinois they tell people to bring your pets inside in the cold because animals can died from the cold. I found a dead cat in my yard from the cold it was so sad. Well, a DOG LITERALLY FROZE TO DEATH on his own front porch in Ohio yesterday, so YES, animals should be brought inside in the extreme cold. Google it if you don't believe me. The dogs in the north are breed for the cold. They naturally grow a thicker coat in the winter, so yes, they can and do stay outside. I know several people whose dogs live outside year round and it can get much, much colder here than in Ohio or Arkansas. Of course, the smaller breeds and toy breeds are not outdoor dogs. They stay indoors, except when out for a walk. And cats are not breed to live outdoors in this climate. They stay indoors 100% of the time. No roaming outdoors, even in the summer, except if you want to loose your pet. If you know of animals that live outdoors (such as feral cats) build them a shelter (I use styrofoam containers with lids) and fill them with straw. Any other type of filler, such as blankets, can freeze and actually make them colder. Thanks for your tips, 2:03! I'm always looking for ways to make little shelter places for my cats outside with boxes and blankets/rugs. Didn't think of the styrofoam idea ever! And certainly didn't know that about blankets! And here that is what I use-any old blankets/comforters! Thanks. @3:27 There are great posts online with pictures of shelters people have built for cats. Take a look around the 'net. Don't forget to provide unfrozen water for the cats, too. Very important for their health. Do you not see the dog in the first picture with Jackson and Tyler? I think that pretty much answers your question. Awe henry is so cute!!!! True enough! Little Henry is absolutely precious. :) He looks like he's so much fun! Thank you for sharing the great Christmas photos! 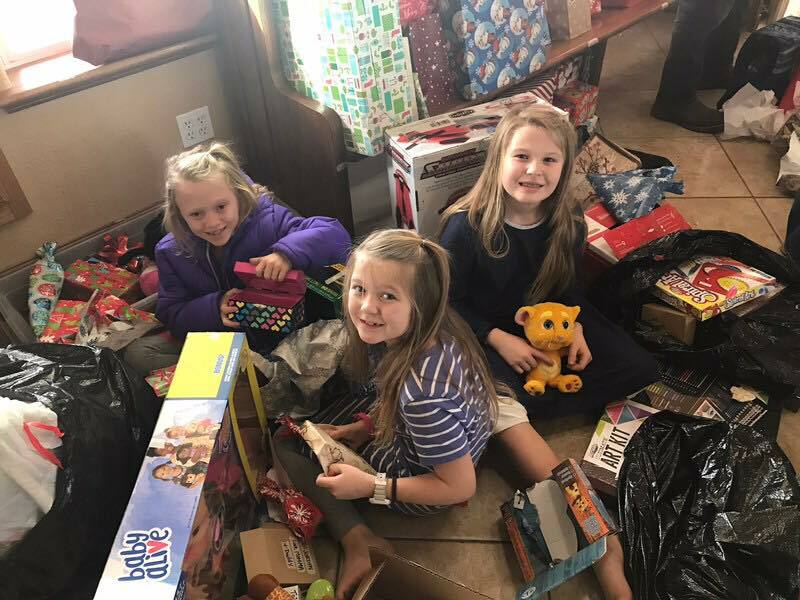 Well, these pictures pretty much blow the "Duggars don't make a big deal out of Christmas gifts" theory out of the water. That is the quintessential "embarrassment of riches" right there. Didn't the Duggars say themselves that they don't do presents at Christmas? what happened? No, they've never said that. There have been episodes showing them buying gifts and exchanging them. Just curious - have you ever read any of their books or watched any of their shows? I know there are a lot of people who criticize the Duggars based on things they read online. I'd like to tell NEDDY that her sweet comments always lighten my mood. She's always such a loving and kind person on ALL of her posts. She's made my holiday go much better. My Mom died during the holidays of 2014.I'm still not over the loss.But, her time with her Mother seems to truly mean alot to her. May God Bless both of them. I also want to respond about the kids being barefoot. When they were building the house. The kids helped to install heating tubing under the floors. It not only keeps the floors nice and toasty,it also helps to warm the body. I had a memory of childhood and having my coat on during Christmas morning festivities, because I couldn't wait to get outside to play with my gifts. (Plus, I don't remember ever getting Cold as a kid) Even in the swimming pool at the start of the season. Mom would tell me to get out of the pool because my teeth were chattering and my skin was blue. But, I thought it was fine. ♡sweet and funny memories!